Congratulations, you’ve graduated grade school. Now it’s time to move forward with your knowledge, and career. Have you considered a career in accounting? This great option has high pay and allows for flexible scheduling. The best part is, you can become an accountant in as little as 2 years by starting your accounting degree course in 2014. The World Financial Climate – Let’s face it, the financial climate for the world isn’t what it was 15 years ago. The reality is recessions and downward trends in the market have made it so that the most successful people are those who understand the finance world. Therefore, by studying to be an accountant, you can be one step ahead of the trends and understand what is best to do with your money. Financial management know-how will be one of your greatest assets. The Pay – There’s no secret that we all want to make good money working wherever we’re working, doing whatever we’re doing. We want to work on a job that helps us earn a big salary to support our wants and needs. That being said, if you become an accountant, you’ll no longer have to worry about working for less than what you find to be an acceptable wage. The truth is, accountants make great money! Surveys show that the annual income of executives in accounting firms can reach up to around $200,000. That’s no chump change. The latter being some of the highest paying careers in the world today. The reality is, as with any career, some people will be perfect matches for accounting, and others would absolutely hate the job. To understand if accounting is a good career for you, you’ll have to understand what’s entailed in the job. Money – Accounting revolves around money. That being said, if you’re good with money, and like to be around it, you’re already on pace to be a perfect accounting candidate. However, if you’re not so good with money, and hate having to deal with it, this may not be the best option for you. Puzzles – Accounting is almost like a huge puzzle, especially when it comes to business accounting. As an accountant, it’s up to you to not only find all the financial pieces of a company, it’s up to you to put them together properly. Therefore, if you enjoy problem solving and putting extravagant puzzles together, this might just be the perfect career choice for you. In today’s finance driven society, it’s important to make career choices that will put you in a position of financial success. 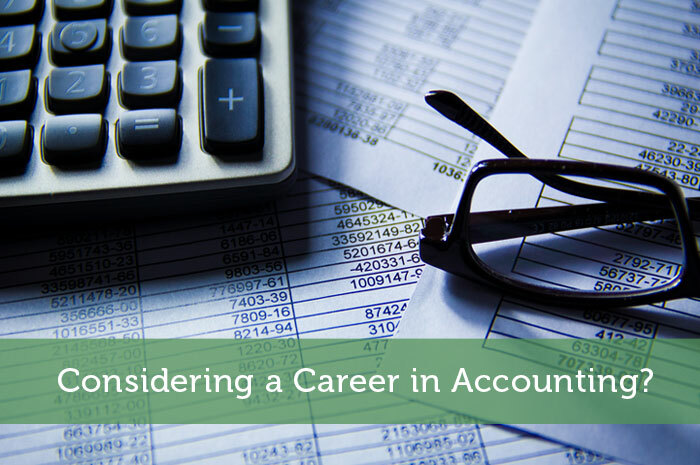 There is no other career opportunity that has more potential to do just that than accounting. You can work in the public offices of the government or private companies. You can also further your studies and become a Certified Public Accountant (CPA) lawyer. There are just so many possibilities that you can choose from in this field. An often overlooked aspect of accounting is that you have to be good with your clients. I would say the more outgoing you are by nature and can interact well with people, the further you will go in the industry. Hey Brian, thanks for mentioning that. Customer service and client retention is incredibly important! Let alone the marketing aspects of being an outgoing person! I love money but just couldn’t get around all those terms in accounting class back in college. I feel like they have all this rhetoric in the classroom that isn’t applied out in the real world.